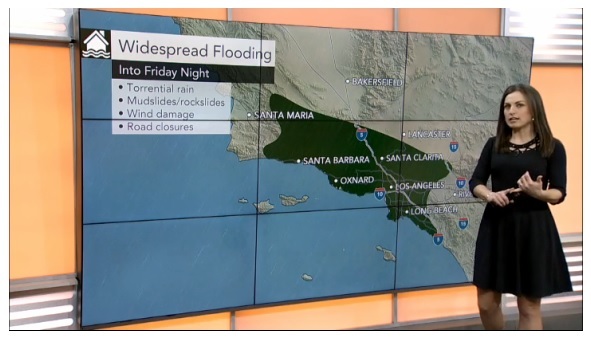 It’s the strongest storm to hit Southern California in many years and is expected to dump torrential rain, with flash flooding and strong winds. It's all part of one of the most intense storms to strike the region since before the state's epic drought began in 2012, which is likely to bring several inches of rain on average to areas from Santa Barbara southward to San Diego. A flash flood watch has been issued for Santa Barbara, Ventura and Los Angeles counties from Friday morning through Saturday morning. Evacuations have been ordered in some burn areas. High surf could cause coastal flooding. Powerful winds could result in downed trees and power lines. Twice the month average total of rain will fall in just a couple of hours in most places. The storm is expected to dump up to 6 inches of rain on Los Angeles County beaches and valleys and 5 to 10 inches on south-facing foothills and coastal mountain slopes, according to the National Weather Service. A flash flood watch has been issued for Santa Barbara, Ventura and Los Angeles counties from Friday morning through Saturday morning. Much of that rainfall is expected to fall within a short time Friday afternoon and evening, with rain potentially falling at a rate of more than an inch an hour, forecasters said. 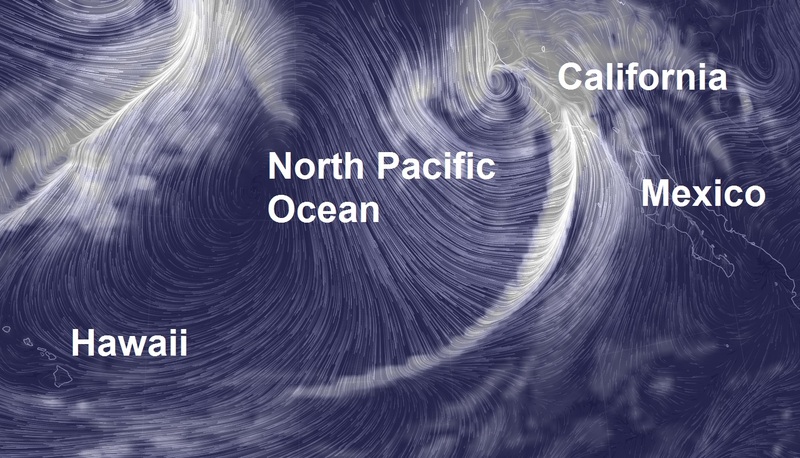 The storm, which combines an unusually intense low pressure area with a fire hose of moisture whose hose stretches back for more than 2,000 miles, way out to near Hawaii, will rage throughout the day on Friday and into Saturday in one of the most populated and storm-averse areas of the country. At its peak, winds are likely to gust greater than 50 miles per hour in the Los Angeles and San Diego metro areas, which will cause extensive air travel delays and down trees and power lines. Some areas could see winds approach or exceed 100 miles per hour, particularly in the higher elevations of San Diego County.